This post follows from “Who do you say that I am: Controversies about Christ in the early church“ and Controversies about Christ in the early church, part II: The hybrid Jesus and the Second Council. I acknowledge with gratitude the teaching of Susan Keefe of the Duke Divinity School. Much of what appears in this series comes from Dr. Keefe’s lectures on this topic. At the Council of Ephesus (431), Nestorius, patriarch of Constantinople, was accused of dividing the two natures of Jesus in a way that made the Virgin Mary the mother of Christ, but not of God. His leading opponent, the patriarch Cyril of Alexandria, taught the full unity of Christ’s natures. 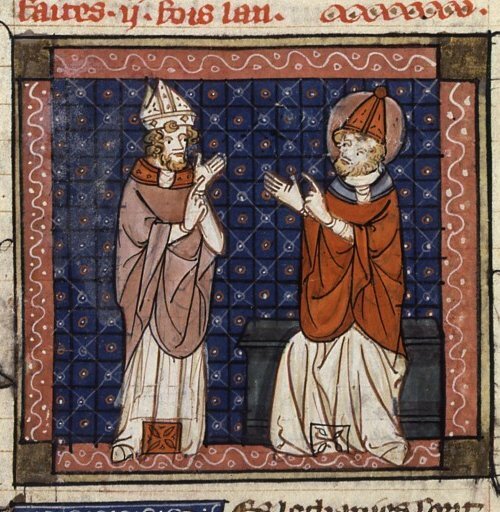 Cyril’s views triumphed, with the support of the Roman pope, and the Nestorian party was condemned. It remains open to debate whether Nestorius did in fact hold the views attributed to him. In a sense, the view attributed to Nestorius made Jesus into a sort of werewolf, doing things as a man at one point, and as divinity at another time, turning on and off like a light-switch. We’ll see how that worked in a moment. So how WAS the church to explain the union of the two natures in Christ? If blended, they lose their total humanity and total divinity. However, if you maintain them as distinct, then Christ was two persons. But he must be one person. If he was two persons, what happens after his resurrection? Is something left behind? Or which one goes to heaven? Or both go to heaven, and you have a quaternity rather than a trinity? Jesus didn’t lose anything, he is fully human at this moment. In reaction to Apollinaris, Theodore of Mopsuestia, a man from Antioch who became bishop of Mopsuestia (just above Antioch) insisted on the distinction between the two natures in Christ. He was looking at Apollinaris, the danger of mixing, blending them. So to describe how they were distinct, yet joined in a single person, he used the word “conjunction.” Theodore didn’t mean his two natures could be thought of as two entirely separate natures, but he insisted they were joined in some mysterious, indissoluble way. He was most concerned with refuting the “blending” of Apollinaris, and thus losing either the total humanity or the divinity of Jesus. Theodore’s pupil, Nestorius, from the Antioch school as well, became the patriarch of Constantinople. According to his enemies, he carried Theodore’s thinking too far: he pushed the distinction between the two natures too much. In fact, in the orthodox view of the church through the ages, Nestorius was right about this, in that divinity in itself did not suffer; but because the two natures in Christ were inseparable, there was a kind of experience of suffering by God himself. So, would God suffering mean that he experiences something that is opposed to his will and outside his control? Can he really participate in our suffering? Is he just com-passionate with us, or is he actually suffering with us? How deep is our connection with God if he is not suffering with us? We can talk about God’s participation in humanity and ours in divinity without the one becoming the other. We are right on to the heart of the problem of talking about mixtures—are we talking about a God less than perfect? Or must we keep insisting that no, divinity itself cannot be subjected to these weaknesses, at least voluntarily. People thought a lot about these things, just like we are. So, back to Nestorius. 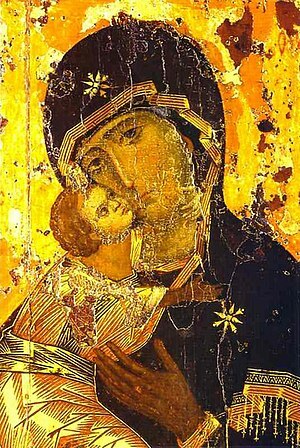 Nestorius also said “the Logos [that is, the pre-existent second person of the Trinnity] was also not born of a woman; only Jesus’s humanity was born of a woman.” He refused, too, to use the title Mother of God—Theotokos—the most beloved title the East could give the virgin mother—for Mary. She is not the mother of God, he said, only of Christ: Christotokos. Nestorius’s enemies accused him of creating not just two natures but two persons of Jesus. This word Theotokus became their rallying point. The leader of these enemies of Nestorius was Cyril of Alexandria. Whereas the Antioch school tried to stress J’s full humanity, so now Cyril and the Alexandrian school were stressing his divinity, against Nestorius. Cyril insisted that J had two natures, but that they were not separated. Nestorius saw J almost as a walking werewolf, as we’ve said. Cyril said, you just cannot separate the two. They are like light and heat in a flame. Different realities, but they cannot be separated. In the same way, it is legitimate to say that “God died” or “Mary gave birth to God,” because you just can’t separate the human and divine natures in Christ. Cyril was the first to use the term “hypostatic union” about the joining of the two natures. “Hypostasis” meant basically “human”—he was trying to insist that Jesus is one person with these two natures. Furthermore, he was insisting that this one person is not some new creation. Personhood for J was not invented when he was born. 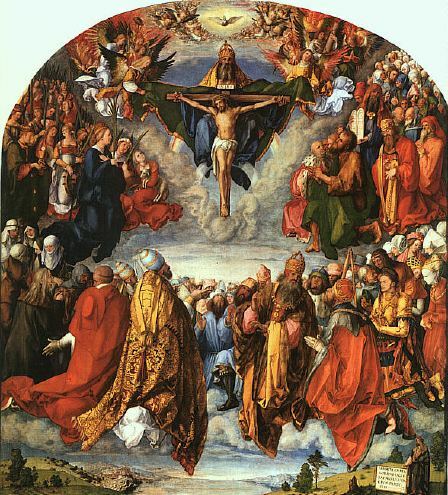 This one person is eternal, preexisting, the second person of the holy trinity, who assumed human nature. The personhood of J is preexistent, the second person of the trinity. It sounds odd, even heretical, but it can be said that JC was never a human person—that is, he never possessed a “human person” along with his divine person. Human nature, yes. A human person, along with the divine second person of the Trinity, no. Now, can you have a human nature without a human person? How important is personhood to having a human nature? The church eventually explained it like this: In the unique case of J, his human personhood was totally taken up by his divine personhood. Our idea of personhood is completely enmeshed with our very identities. Jesus was indeed fully human, but in an unprecedented way. Cyril drew up, and presented at the third council at Ephesus, in 431, 12 statements, called “anathemas,” condemning Nestorius. Nestorius appeared at Ephesus. But a counter-synod appeared at the same time, claiming to depose Cyril. And Ephesus deposed the counter-synod. And then the Emperor dismissed the council of Ephesus that had failed to reconcile the church. Two years later, 433, the “Creed of Ephesus,” a solution to the issue, was accepted by some. It insisted on both the full humanity and the full divinity, but more importantly, conjoined in a “hypostatic union,” vs. the werewolf view. BUT this compromise solution/creed did not satisfy those who were radically opposed to Nestorius, esp. the Eastern monks who used Theotokus, and wanted to preserve Jesus’s divinity (Nestorius was more interested in preserving Jesus’s humanity). So now we’re in the run-up to the fourth council: the council of Chalcedon. In the next post, we’ll get to Eutyches and the so-called “monophysites,” the council’s famous Definition, with its “four fences,” and the terrible schism that followed the council. This entry was posted in Uncategorized and tagged Christology, Council of Ephesus, Nestorius, the Virgin Mary, Theotokus. Bookmark the permalink.